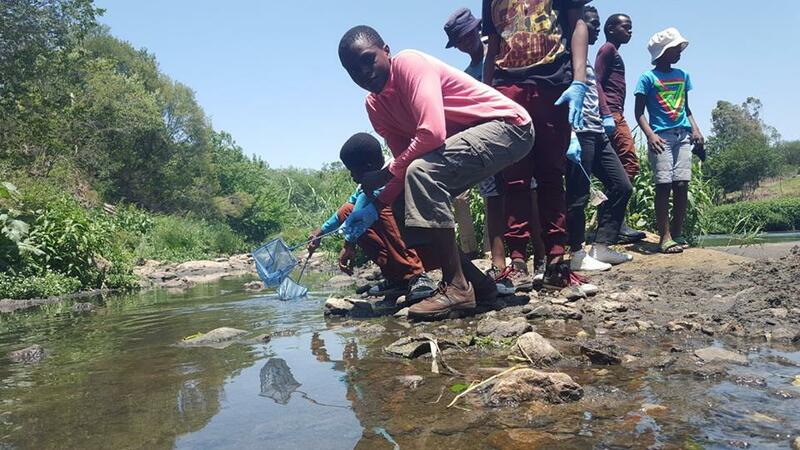 Last Sunday 170 children tackled the heavily polluted banks of the Jukskei River in an endeavour to grow into hands-on active citizens, who know what the state of their environment is and are prepared to roll up their sleeves and do something about it. 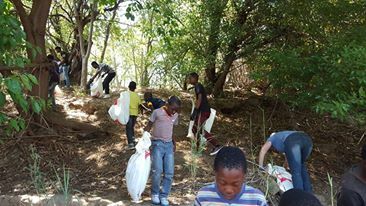 On Sunday the 1st of November 2015, 170 children from various organisations in Diepsloot got involved in a river clean-up campaign cleaning the Jukskei River . The Children were bussed into Northern Farms by TLC shuttles transport. Roots and Shoots, Learning Alive and The Cobras soccer team all came together to do a river clean-up at the Northern Farm. Electronic Cemetery also assisted on the day by volunteering their time to assist in making sure everything ran smoothly and facilitating the children during the clean-up. The group was split into 4 groups each conducting a river clean-up in different sections of the river banks. After collecting approximately 160 Tuffy refuse bags full of rubbish each team conducted a Mini SASS water test. The Mini SASS test determines the health of the water. Children formed groups and each had a net and bucket to catch small aquatic invertebrates. The presence or absence of certain species determines the health of the stream. The results showed that the Jukskei River was severely polluted and it is thought that sewerage from the Klien Jukskei River was the main culprit of the results. After a hard morning in the scorching sun (38 degrees) and feeling good about being active citizens, children were each given a lunch pack and could enjoy a meal in the shade with one another. Events like these entice children to connect with nature, understand the importance of active citizenship and promotes collaboration and interaction with other children in their community. This will be an on-going Initiative whereby Green Beings hopes to grow and inspire more children that want to make a difference in their immediate community. It would be great if you could share the exact results of those water tests. 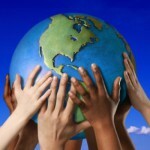 What will this group be doing about the cause of the pollution? Also, did you do a waste audit, can you share that, and was all of it recycled? Hello Elma, The Mini SASS test relieved that the river systems health was in very poor condition. The Jukskei river was highly polluted with sewerage from down stream, most likely Cosmo City and Kya-sands. Green Beings is working with the youth and residents from these areas to prevent the water pipes from blocking. Our Ph tests showed the water to be neutral. I read that in the story, but am interested in publishing the details. As they say, God is in the details. The more our public understands what exactly is to be found in the rivers, the better solutions can be pursued. So the cause was blocked water pipes? Are they recycling there? 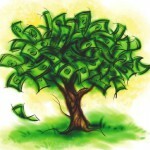 Hey there greenbeings! well done. At least you are doing something about the situation and we salute you for that! So let’s stay positive and keep up the good work.